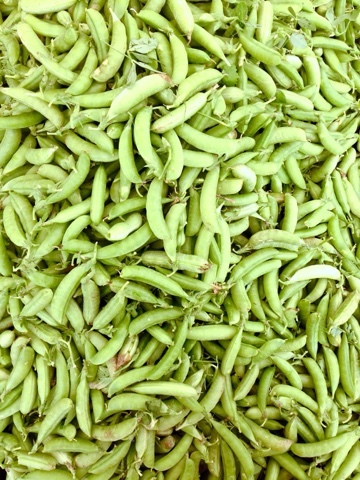 As of the past few weeks, I've been on a binge sugar snap pea diet: crunching my way, oh so earnestly, through a pound of sweet, snacking goodness every day. I just find everything about the tiny pods so satisfying: the crisp edible casing that hugs the tiny sugary peas, the confirmation of each bite with that signature audible snap. Speaking of, I must offer my sincerest apologies to my coworkers...a good desk mate does not a snap pea addict make. As I pushed through the crowds to get to my hands on the much anticipated heaping bundle of snap peas, I passed a tent where chefs from the Natural Gourmet Institute were distributing samples from a cooking demo. I stopped for a taste—and was absolutely blown away by the glorious Christmas-colored flavors in my cup, bursting like a symphony on my tongue. What is this!? I inquired, noting that my drug of choice, le sugar snap pea, was a leading ingredient in the salad. It's a Sugar Snap Pea & Strawberry Salad with Garlic Scape Yogurt Dressing, the chef replied, adding that 4 of the 8 ingredients are prime seasonal produce at the farmers market right now. This salad is seriously fantastic. 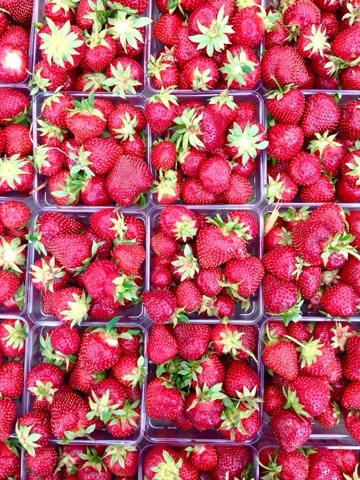 The two main ingredients, sugar snap peas and strawberries, play off each other brilliantly: the earthy, peppery peas against the confectionery field strawberries. The dressing is divine: creamy yogurt dotted with garlicky scapes, refreshing balsamic and basil, and cooling olive oil. 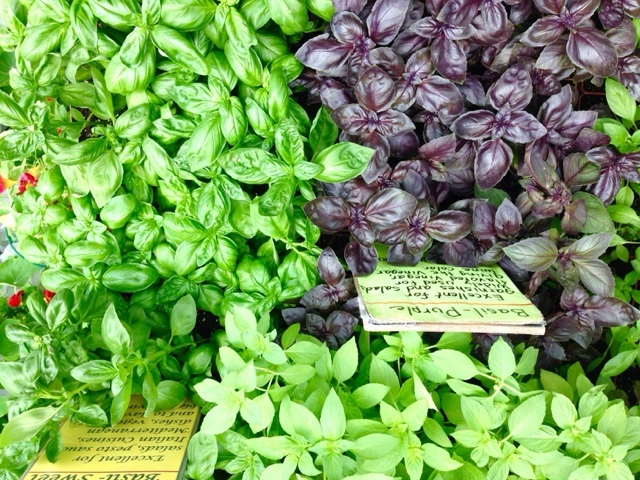 It's simple, but with such fresh, quality ingredients, it's simply outstanding. My raw sugar snap pea addiction had met its match. 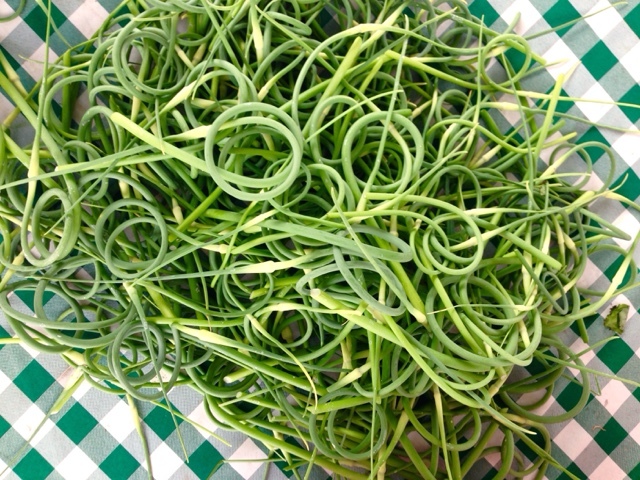 Garlic scapes, known for their serpentine shape, are abundant at the market right now. But if you can't find them, feel free to substitute 1 large minced garlic cloves and 2 minced scallions. Also, I encourage you to extend the dressing to other types of salad—it will work well any time a creamy balsamic vinaigrette seems fit. 1. In a small bowl, whisk together yogurt, white wine balsamic vinegar, garlic scapes, and basil. Slowly stream in olive oil while stirring, then season with salt and black pepper. Set aside. 2. Steam sugar snap peas until barely tender, about 2 minutes. Let cool for a minute before slicing diagonally into 1/4 inch pieces. 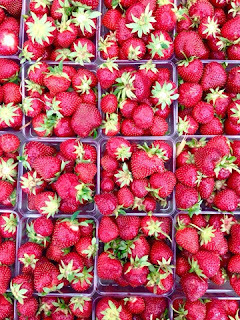 Toss with strawberries and let cool completely. 3. Toss salad with dressing and serve.